"Multi-wavelength studies are absolutely essential for putting together a complete picture of how supernova remnants evolve," Sankrit said. Sankrit is an associate research scientist, Center for Astrophysical Sciences at Hopkins and lead for Hubble astronomer observations. 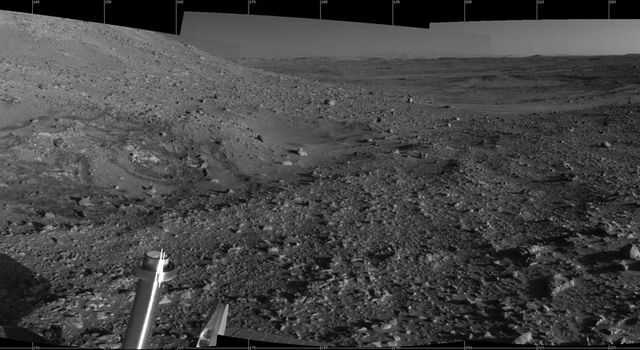 "For instance, the infrared data are dominated by heated interstellar dust, while optical and X-ray observations sample different temperatures of gas," Blair added. Blair is a research professor, Physics and Astronomy Department at Hopkins and lead astronomer for Spitzer observations. "A range of observations is needed to help us understand the complex relationship that exists among the various components," Blair said. Visible-light images from Hubble's Advanced Camera for Surveys reveal where the supernova shock wave is slamming into the densest regions of surrounding gas. The bright glowing knots are dense clumps that form behind the shock wave. Sankrit and Blair compared their Hubble observations with those taken with ground-based telescopes to obtain a more accurate distance to the supernova remnant of about 13,000 light-years. The astronomers used Spitzer to probe for material that radiates in infrared light, which shows heated microscopic dust particles that have been swept up by the supernova shock wave. Spitzer is sensitive enough to detect both the densest regions seen by Hubble and the entire expanding shock wave, a spherical cloud of material. 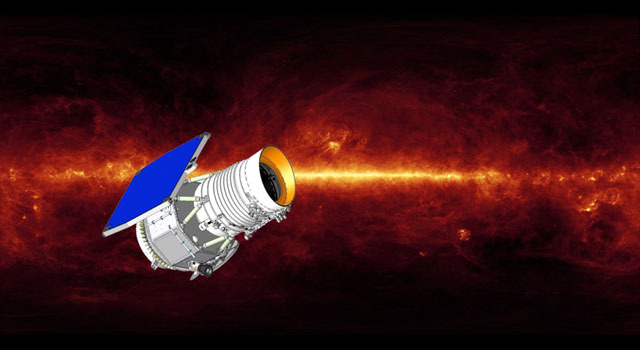 Instruments on Spitzer also reveal information about the chemical composition and physical environment of the expanding clouds of gas and dust ejected into space. This dust is similar to dust which was part of the cloud of dust and gas that formed the Sun and planets in our solar system. The Chandra X-ray data show regions of very hot gas. The hottest gas, higher-energy X-rays, is located primarily in the regions directly behind the shock front. These regions also show up in the Hubble observations and also align with the faint rim of material seen in the Spitzer data. 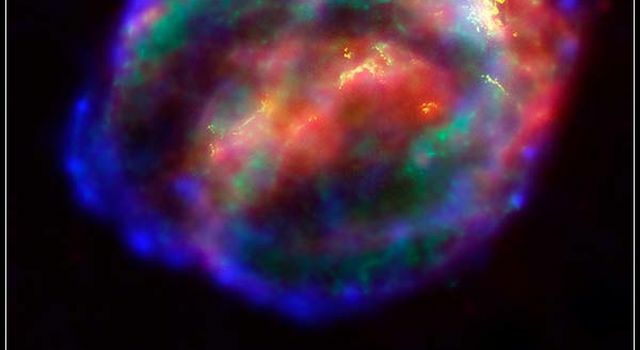 Cooler X-ray gas, lower-energy X-rays, resides in a thick interior shell and marks the location of the material expelled from the exploded star. There have been six known supernovas in our Milky Way over the past 1,000 years. Kepler's is the only one for which astronomers do not know what type of star exploded. By combining information from all three Great Observatories, astronomers may find the clues they need. "It's really a situation where the total is greater than the sum of the parts," Blair said. "When the analysis is complete, we will be able to answer several questions about this enigmatic object." 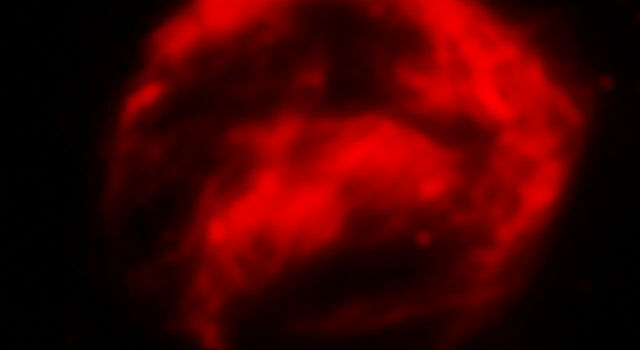 Images and additional information are available at http://www.nasa.gov, http://hubblesite.org/news/2004/29, http://chandra.harvard.edu , http://spitzer.caltech.edu ,http://www.jhu.edu/news_info/news/, http://heritage.stsci.edu/2004/29 and http://www.nasa.gov/vision/universe/starsgalaxies/kepler.html. Spitzer Science Center, Pasadena, Calif.